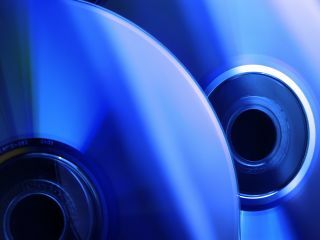 The battle between Blu-ray Disc and HD DVD formats should be decided in Britain next year after Christmas shoppers revealed their planned purchases for 2008. 54 per cent of shoppers said they'd definitely switch to one of the two formats in the next 12 months, with 39 per cent saying they'd make the change even sooner - within the next six. The shoppers were surveyed by the Digital Entertainment Group Europe (DEGE), which promotes standard and high definition movie formats in the UK. As far as this Christmas goes, the overwhelming majority of those surveyed are sticking with DVDs as gifts for family and friends. DEGE says 78 per cent of shoppers plan to give DVDs this Christmas, compared to 68 per cent last. Of those planning to buy one or more movies, 82 per cent said they were buying DVDs, compared with 9 per cent for Blu-ray and HD DVD gifts combined.